Intelligently designed to combine precision engineering with simple and intuitive functionality, Thermomix® is packed with innovative features to enhance your cooking experience and make your kitchen easier to work in and more productive. 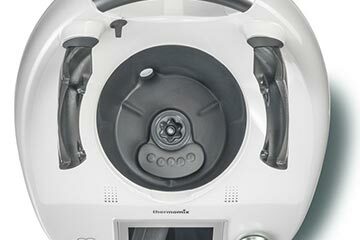 Thermomix’s® incredible versatility has always reflected its intelligent, innovative design and attention to detail. With the TM5, we have reinvented simplicity. Thermomix’s ® remarkable ability to cook as well as process food is at the heart of its ability to save time and make cooking easier. The ability to heat food to precise temperatures between 37 °C and 120 °C is combined with integrated temperature sensors to maintain a constant cooking temperature, which helps to preserve the colour, flavour and nutrients in all your ingredients. 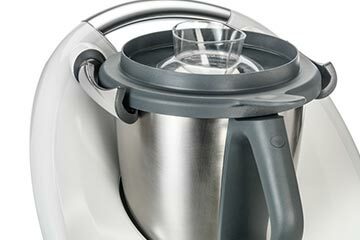 The fully automated locking bars on the Thermomix ® make the lid easy to open and close during operation. 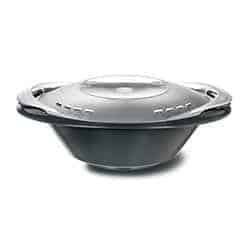 The Thermomix ® secure locking bars ensure that the lid stays locked while the knife is in operation, but are also smart enough to prevent the device from being opened too soon while hot ingredients may still be in motion – this automatically prevents the risk of splashing. This is especially important with a device that can cook and mix. It is always clear if the Thermomix ® is open or closed, so you can be sure that things are secure as you cook or mix. 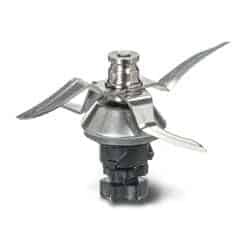 This helps you to work quickly, efficiently and safely. Millions of satisfied users around the world rely on Thermomix ® every day. That’s because Thermomix ® is packed full of cutting-edge innovations, such as the touchscreen display, and has also been precision engineered for daily use in your kitchen. 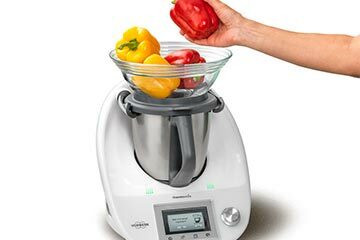 Key hardware features that set Thermomix ® apart include its powerful 500W motor, which offers precision control over blade speed and direction and enough power to take on even the toughest kitchen tasks. The motor, bowl and blade unit are beautifully designed to work together so that Thermomix ® has the power to grind the hardest spices to powder yet can also gently stir a risotto or a soup at very low speed to retain texture. 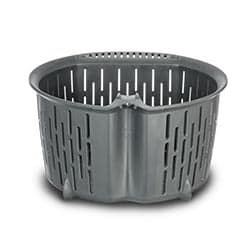 What we design and build makes your daily cooking so much easier. 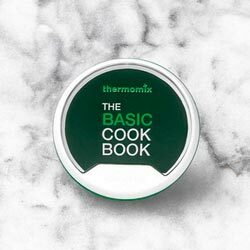 Thermomix ® features a seamlessly integrated scale, so all you need to do to measure the perfect quantities for your recipe is to add ingredients straight into or on top of the bowl, even while you’re mixing or cooking at low speed too. Simply press the “Tare” button to reset the scales to zero each time you need to add and weigh a new ingredient. With the new TM5, you can now also use the scales while the motor is running at low speed, which means you are able to add additional ingredients as you work. 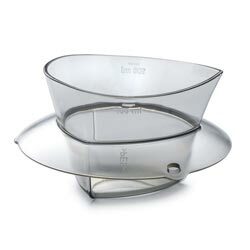 There is no need to pause, so it’s even easier to cook with as much precision as you like. 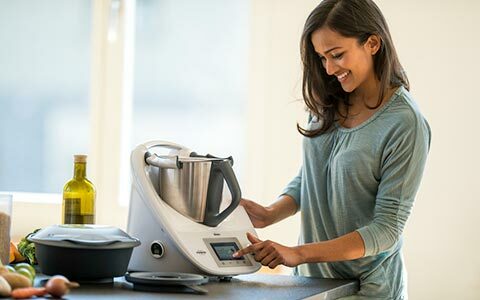 Thermomix ® is a high-performance appliance capable of performing the toughest of kitchen tasks yet; at the same time, it’s also incredibly efficient. By combining the functions of multiple kitchen appliances into one efficient unit and with features like Guided Cooking which sets internal timers to the precise duration necessary for each process, Thermomix delivers much faster, more energy-efficient cooking. With Thermomix, sequential steps of a recipe can often be combined into one. For example, grating carrots and mixing all the ingredients for a carrot cake can be done in one step in 20 seconds! 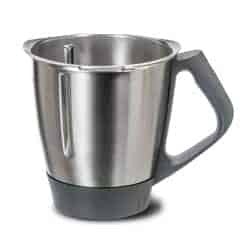 You can also blend and cook, or cook and stir, or cook and steam at the same time. A pioneering innovation, Thermomix’s ® colour touchscreen lies at the heart of a unique cooking experience that brings simple, convenient cooking into the digital age with precise control at your fingertips. 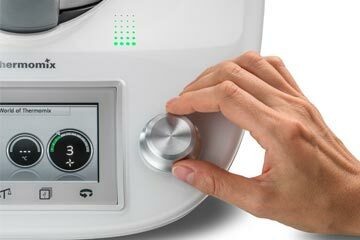 The simple interface means that the appliance’s numerous features can all be accessed using the touchscreen and a single dial. 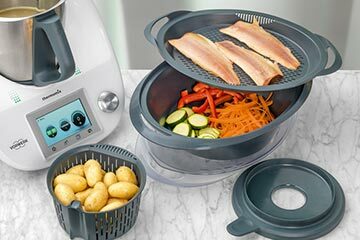 There are many ways to prepare and cook healthy, nutritious meals with Thermomix®. Whether you use one of the many easy-to-follow Guided Cooking recipes, adapt your own recipes to Thermomix®, or use the Thermomix® as a tool to take the hard work out of preparing delicate sauces or kneading dough, it’s so quick and simple to achieve perfect results. 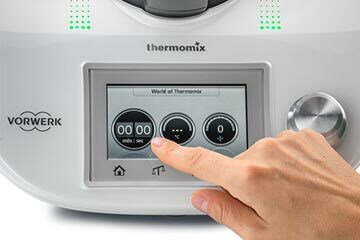 Unlike traditional cooking, Thermomix ® ensures a precise, constant temperature that is automatically regulated and easy to adjust using the temperature selector dial and touchscreen display. Warm, heat, cook or sauté in the mixing bowl with controls at your fingertips to ensure perfect results every time. As mixing is taken care of, too, you can be confident that nothing is likely to stick or burn on the mixing bowl. Whether you want simple home-cooking or gourmet cuisine, there are literally thousands of recipes available that adapt existing dishes to be cooked with Thermomix ®. However, once you start thinking in Thermomix ® mode, there are infinite possibilities to adapt your own recipes as well. Even complicated dishes are made easy with Guided Cooking. Thermomix ® Recipe Chips are a unique innovation that lets you display recipes directly on screen. With Guided Cooking, just select a recipe from the Recipe Chip and you’ll see clear step-by-step instructions so you know exactly what you need to do. Time and temperature are pre-set so all you need to do is add the ingredients – let Thermomix ® weigh them for you – and activate the speed selector. Once you’ve completed a step, just touch “Next” to see the following set of instructions. 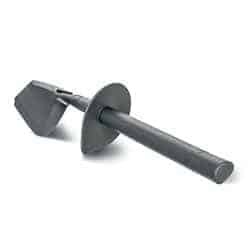 Even the most inexperienced cooks will be preparing dishes they never would have imagined they could in their own kitchens. If you’re more comfortable cooking manually, you can override Guided Cooking and adjust the settings to meet your own needs. 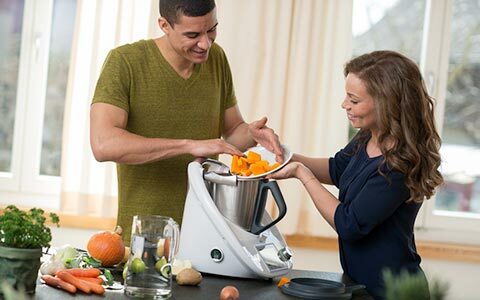 Your Thermomix® comes fully equipped with everything you need to perform the functions of more than twelve appliances in one, making it extremely powerful and flexible. 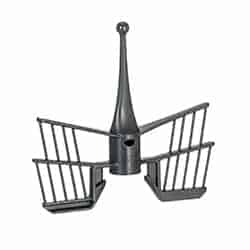 With a minimum number of clever accessories – all of which are supplied – you can achieve the maximum level of versatility.